Tired of mind-numbing cardio sessions? Trade in the treadmill for one of these fun—extremely effective—workouts! Does the thought of another jaunt on the elliptical have you ready to scream, shout, and pull your hair out? 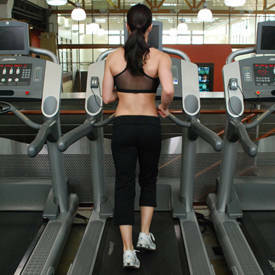 Don't force yourself to pedal, jog, or simply walk through another boring cardio workout. Turn things around by livening up your routine! By changing up your aerobic activity, you'll challenge your body in new ways. 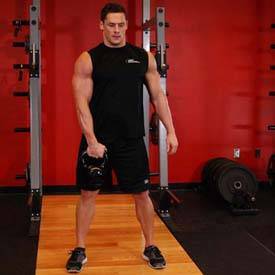 By hitting your body with new stimuli, you'll see faster progress and improved fat burning. Best of all, you won't be chained to a machine the entire time. The next time you need a challenge or a change of pace, add some oomph to your next training session with these killer cardio workouts from some of BodySpace's best athletes! Physique competitor Ed Honn is all about taking the nontraditional route when it comes to cardio training. 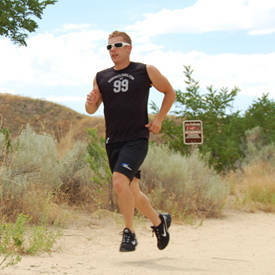 A fan of high-intensity interval training (HIIT), he believes cardio sessions should be fun, effective, and performance-based. For Honn, it's all about circuit training with a buddy. "Misery loves company!" he laughs. 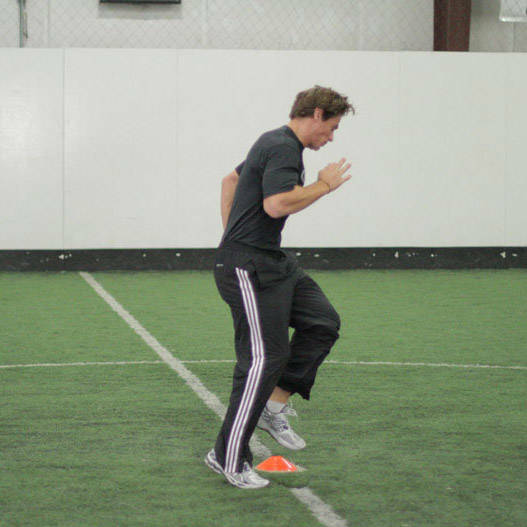 Honn trains with his friend and fellow trainer Andrew Kouba. They play off of each other's energy, which brings out their competitive spirits and makes for a more intense session. The workout circuit below is designed to improve explosiveness, agility, and work capacity—all areas needed for well-rounded performance. No matter your workout, Honn recommends that you think outside the box and always incorporate athletic movements. 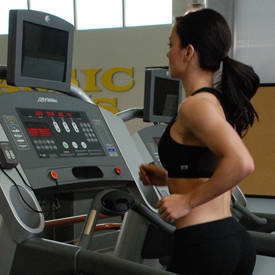 Cardio doesn't have to be a beast you take on for 30 minutes of monotony. If you're looking to cut down on days filled with steady-state cardio, take a page from personal trainer and MuscleTech athlete Lindsay Cappotelli. Instead of doing cardio in the traditional sense, she opts to incorporate high-intensity metabolic-conditioning finishers one to two times per week after strength training. "It's the kind of cardio that helps me reach my goal of being faster, stronger, and more powerful" she says. "Steady-state cardio just won't get you that." Cappotelli loves fast, furious conditioning sessions because you don't have to sacrifice muscle mass while torching fat. Plus, finishers like this are true time savers and take 10-15 minutes max. For NPC bikini athlete Katie Miller, machines are where it's at. "My favorite cardio routine is HIIT on the StairMaster," she explains. "Most machines have an option titled 'speed intervals,' which gives me the best challenge." Depending on where she is in her contest prep, Miller does about 15-25 minutes of cardio during each of her gym sessions. As her body gets more acclimated to her routine, she increases the level of difficulty. After all, HIIT is no time to sell yourself short. When you're doing sprint segments, Miller recommends hovering around a 9 or 10 on the difficulty scale. Put simply, you should be pushing yourself hard! "You should work up a pretty good sweat in a short amount of time if you're doing it right," she says. In addition to helping shed fat, Miller also credits the stair climber with decreasing the impact on her feet and other joints, which allows her to exercise pain-free. Give her workout a shot. 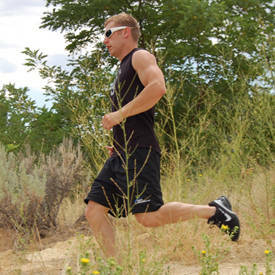 When it's cardio time, fitness model Jimmy Everett heads outdoors. Tough hill runs and dashes are his activities of choice. "I find a steep hill and sprint up it 10 times, walking back down," he says. 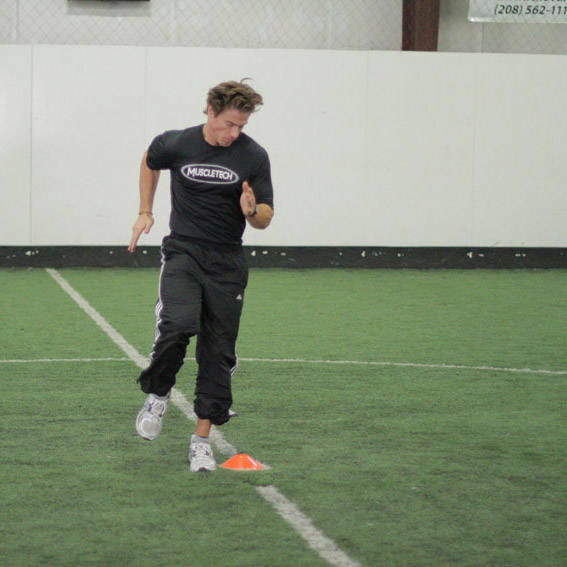 "I then like to take it to a grass field and do 10 40-yard-dash sprints using the same concept—sprint down, walk back." Spending some time outdoors gets Everett out of the confines of the gym and gives his body a much-needed shock that spells great results. "You'll get a far better leg workout with my outdoor routine than you will from running on the treadmill," he says. Skeptical? Lace up your kicks, head outside, and give this workout a try. Another HIIT fan, WBFF pro Eiren Gauley includes a number of different exercises in his cardio routine. Unlike many programs that tend to only target the lower body, Gauley's is a full-body workout. "Total-body HIIT cardio is great to help you break through fat-burning plateaus and increase your endurance," he explains. "This workout will boost your total body energy and allow you to burn fat and build endurance more effectively than any steady-state cardio session would." 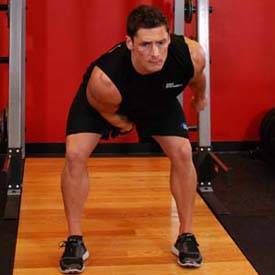 Kick mediocre results into high gear with this workout! If you're anything like fitness competitor Danielle Beausoleil, you're usually up for a bit of cardio. "Jogging or playing sports never bothered me," she says. "It was part of my lifestyle and routine." But while you might not dread a cardio training session, that doesn't mean it's always easy to find the time to fit one in. 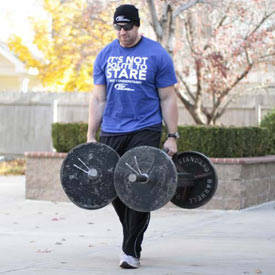 "As I got older, allotting time for both cardio and weight training become more challenging," Beausoleil says. "Doing cardio after the weights also became way too tiring." "HIIT first thing in the morning is a great way to start your day," Beausoleil says. "It'll get your body pumped, your blood flowing, and your heart rate up." To remedy this, Beausoleil came up with an alternative strategy: early-morning HIIT. "HIIT first thing in the morning is a great way to start your day," Beausoleil says. "It'll get your body pumped, your blood flowing, and your heart rate up." Beausoleil usually does her HIIT workout every weekday morning before breakfast. She advocates doing HIIT on an empty stomach if you want to burn fat as quickly as possible, although this is just personal preference. Remember that with any high-intensity workout, you want to feel gassed at the finish. "You should be tired and need rest at the end of each high-intensity push," she says. "It isn't easy, but it's just 20 minutes. I continually remind myself of that to help push through." Working step rate 162, for 35 sec. Resting step rate 70, for 75 sec. 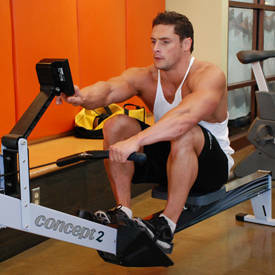 Seated rowing machine 10 min. As fast as you can go 45 sec. Low to moderate speed 75 sec. Moderate to high resistance, max pace 45 sec. Low to moderate resistance, slow to moderate pace 75 sec. The Most Powerful Supplements On Earth! Check out MuscleTech's complete supplement lineup! Go Now!